Communication is KEY in the world of business. I would like to talk about the different communication chains within any company and their importance. There are basically two types of communication: internal and external. Internal communication exists within a company and is the type that occurs between either coworkers or bosses. 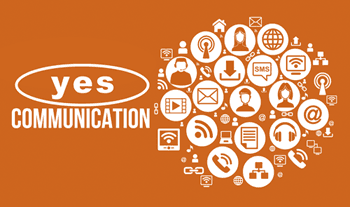 External communication can be with either customers, clients or potential clients. Without communication, employees and/or clients will interpret or assume what they want. This can lead to everyone not doing what in your mind you want from them. It will misguide and leave to their own interpretation. Communication needs to be clear and precise if you intend others to understand the message you are trying to get across. A lot of the time we need to put ourselves in the shoes of others and try to understand a different perspective in order to communicate effectively and clear. I’ve had a lot of experience with trying to convey a message and to my dismay what I thought I was communicating was interpreted differently. We need to be able to read our audience and deliver the message in a way they will understand. Communication isn’t just about speaking, it’s about listening as well. In order to be a good communicator we need to be able to listen. Being able to listen will help us in order to know our audience and be able to communicate in better ways with them. We can always improve on the way we communicate. Try to understand the point of view of our audience, and speak to that. Communication takes practice but if we work at it and recognize our audience we will become better communicators.